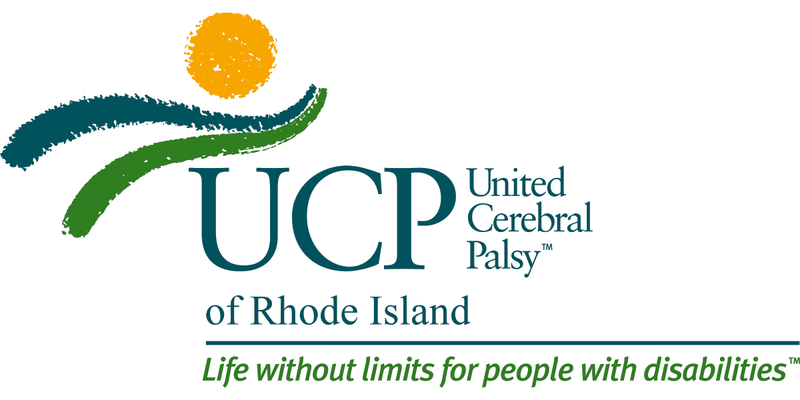 UCP Rhode Island is committed to safeguarding your personal privacy while using this site. Please read the following policy to understand how the personal information you may choose to provide will be treated as you make full use of the offerings of this site. This policy may change from time to time so please check back for updates. What Information Does UCP Collect? To maximize the benefits provided by this site, we encourage all users to use the UCPRI feedback form, which is linked directly to the home page. Without this information, you would be anonymous to us and it would limit our ability to provide the most useful services to our users and supporters. The types of information requested include your name, address, zip code, e-mail address, telephone number, and organization. There is also a “comments” section where you can enter additional information. Beyond the feedback form, we offer the option of making tax deductible donations to UCPRI with a credit card and will collect the information needed to make those transactions. The information you provide to us in the feedback form, including any information and views included in the comments section, will be used to learn more about the community we serve, to provide individual users access to information, products and services that best fit their interests and needs, and to have a way of contacting you in the future regarding the activities and services of UCP and its many affiliates. If after providing this information to us, you decide at some point that you no longer wish to be contacted regarding the benefits and services we provide, you can simply contact us by e-mail and stop the use of your personal information in this manner. With respect to any use of your credit card on this site, such information of course will be covered by our software protection program and its use will be strictly limited to completing the specific transaction with the credit card company. In order to further strengthen this organization and expand the services we offer to the community, UCP has entered into a number of corporate partnerships with leading American companies. These corporate partners offer products and services in which many of our supporters are interested, and the business generated through these partnerships directly benefits UCP as well. The only personal information we provide to these partners at this time is your name and address from the feedback form. However, if you provide this information in the UCP feedback form but do not want it given to anyone else, you have the opportunity online to opt not to have this information provided to our corporate sponsors or other third parties. A “cookie” is a small amount of data sent to your browser from a Web server which is stored on your computer’s hard drive and used to store or sometimes track information about your use of a site. This site does not use any cookies at this time, and UCP will give you the option to reject any cookies that may be used in the future. We do provide links to other Web sites which may use their own cookies and you should familiarize yourself with their practices. We are not responsible for the privacy policies or the content of those Web sites. We will protect any personal information you provide as described above, however, UCP reserves the right to use aggregated, anonymous data about our users as a group. This data does not contain any personally identifiable information. For instance, we might report to current or potential partners or advertisers that a certain percentage of our users live in a specific area of the country, or represent certain types of organizations, or have certain types of interests. This type of survey information is intended to allow a more targeted selection of benefits and opportunities for our users as a group. UCP may also disclose account information in special cases when we have reason to believe that disclosing this information is necessary to identify, contact or bring legal action against someone who may be (1) violating UCP’s Terms of Service or (2) causing injury to or interference with our rights or property, other UCP users, or anyone else who could be harmed by such actions. UCP may also access or disclose account information when we believe in good faith that the law requires it and for other administrative purposes necessary to maintaining the site. Please remember that any personal information which you include in messages posted on UCP’s online Bulletin Board/Discussion Group is available to the public and can be collected and used by others. All viewpoints, ideas, proposals, information and other intellectual property posted on UCP’s Bulletin Board/Discussion Group are the property of UCP and may be used in furtherance of the organization’s goals and objectives.